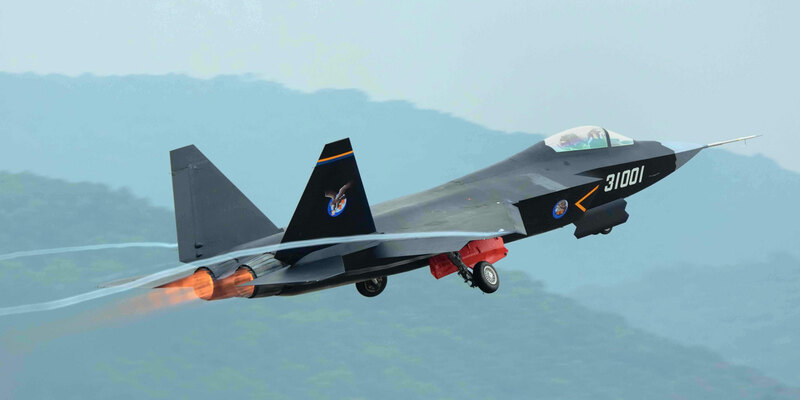 China’s FC-31 jet fighter project, though a twin-engine design, is believed to be dependent on data on the U.S. F-35 that was derived by cyber-sleuthing. The businessman in question, Su Bin, finally agreed a plea deal with the U.S. government in March of this year in which he admitted using his company, Lode Technology, to steal data in U.S. military aircraft and weapons programs for years. Court documents also detail how he then collaborated with contacts inside of the People’s Republic of China (PRC) to sell this information to various Chinese military aircraft R&D and production centers. The data is reported to have been stolen from different computer systems included detailed information on the Boeing C-17 Globemaster cargo lifter and two jet fighter programs for which Lockheed Martin is the prime contractor—the F-22A Raptor and F-35 Joint Strike Fighter (JSF). Su had two accomplices working back in the PRC who were distributing and securing payments for the information that was being provided to various Chinese design centers. The two have never been identified in court documents, but numerous media reports and other government documents have identified them as officers of one the People’s Liberation Army (PLA) cyber attack units. More than a year before the arrest of Su, a prominent U.S. cyber security firm, Mandiant, identified the existence of PLA Unit 61398, which belongs to the Second Bureau of the PLA General Staff’s Third Department. The unit, based in the Pudong district of Shanghai, is one of what Mandiant estimates total 20 or more PLA cyber-warfare special operations units with the mission of attacking both foreign government and industry computer networks. In 2014 at the Air Show China expo in Guangdong Province, a new fighter aircraft, the Shenyang Aircraft Corporation (SAC) FC-31, flew for the first time at a public event. Similarities between this aircraft and the F-35, despite the Chinese aircraft being a twin-engine configuration, are now believed to be at least partially a consequence of the data that Su’s network was stealing through cyber hacking. Prior to the emergence of the FC-31, SAC had shown little evidence of being able to develop its own design concepts. The company had largely been responsible for reverse-engineered copies of the Russian-made Sukhoi Su-27, Su-30MKK and Su-33 fighters. The available evidence is that the FC-31’s configuration was inspired by a large body of foreign design data that Su provided from his operational base in Canada. The original investigation into what data was stolen, and from where, centered on the Boeing Company. However, one of Su’s e-mails stated clearly that the focus of his hacking activities is “mainly on those American enterprises which belong to the top 50 arms companies in the world.” There is also a long list of U.S. and European companies that were doing business with Su’s company, which provides cabling and wiring harness hardware to aircraft firms worldwide. The implication is they also may have compromised their computer systems and been unknowingly victimized by doing business with him. Stolen design information did not all come from Boeing. An FBI agent responsible for writing the official court documents in this case stated that the data was located on a number of computer servers, including those on two U.S. Air Force bases.